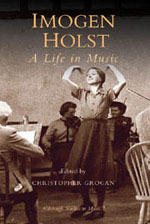 Imogen Holst (1907-1984), the only child of Gustav Holst, was a composer and arranger of folksongs, writer on music, conductor, and administrator. She also acted as music assistant to Benjamin Britten, of whom she became a friend and close associate. She subsequently continued as Artistic Director of the Aldeburgh Festival until 1977, when she retired to devote more time to preparing a thematic catalogue of her father's music. Welcome to the Gustav Holst Web Site. This website was created to introduce you to the life and music of Gustav Holst, a British composer who was born in Cheltenham, England in 1874 and died in London in 1934. 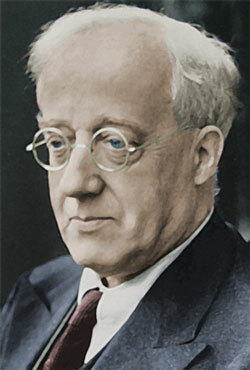 Holst was a composer of many choral part-songs, song cycles, operas and orchestral pieces. He is perhaps best known for his orchestral suite composed during the years 1914–1916, entitled The Planets. I am striving to provide many different types of resources on this web site, whether it is sound clips of Holst's music for study purposes, out-of-print journal articles, cd reviews, other web links, or concert information. If you have any news that pertains to Gustav Holst, please feel free to email me. Biography - A brief biography of Gustav Holst created from the lecture notes of British Music scholar, Ian lace. Compositions - A catalog of music by Holst which contains notes about some of the pieces and publisher information. The Gustav Holst Journal - An index of essays and other scholarly work written about Holst. Currently featuring the writings of Raymond Head. Recordings - A small database of recordings of music by Holst which also includes production notes. Bibliography - An index of book, journals and other writings used to create this website and other recommended reading. Events - A calendar of concerts where Holst is being performed.